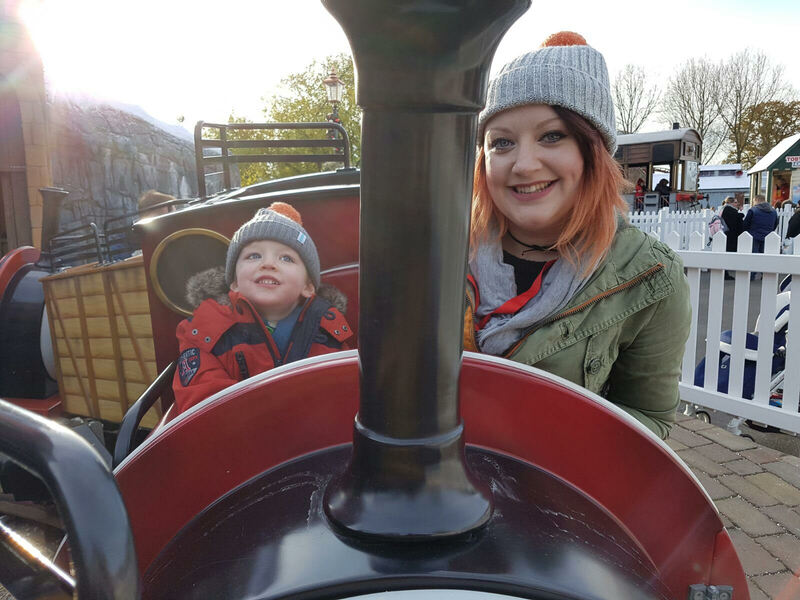 We first headed to Thomas Land when we arrived just before 12.30pm and, considering it was the first day of #DraytonsMagicalChristmas season, it wasn't too busy and we only ever had to wait two turns on a ride before we had our go - and sometimes, no queuing at all. 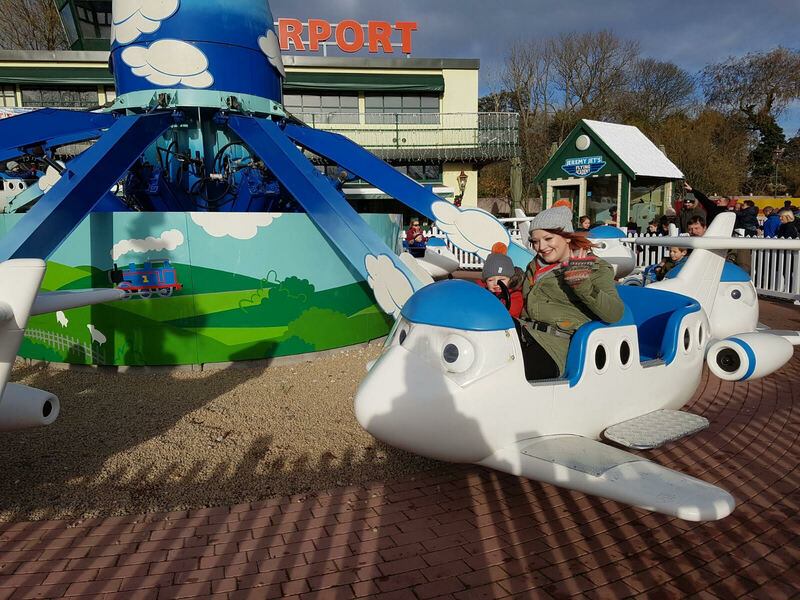 We went on almost every ride, from Jeremy's Flying School through to Troublesome Trucks - a pretty fast and twisting rollercoaster which when it started, I worried would be too scary for my little boy but soon realised that he loved it, as he shouted out "again!" and "that was really fun!" as we went round. We then decided to go and grab a cup of tea and a bite to eat to warm up, before we headed to the zoo section of the park to spot tigers, snakes and gibbons... before finding the dinosaurs. 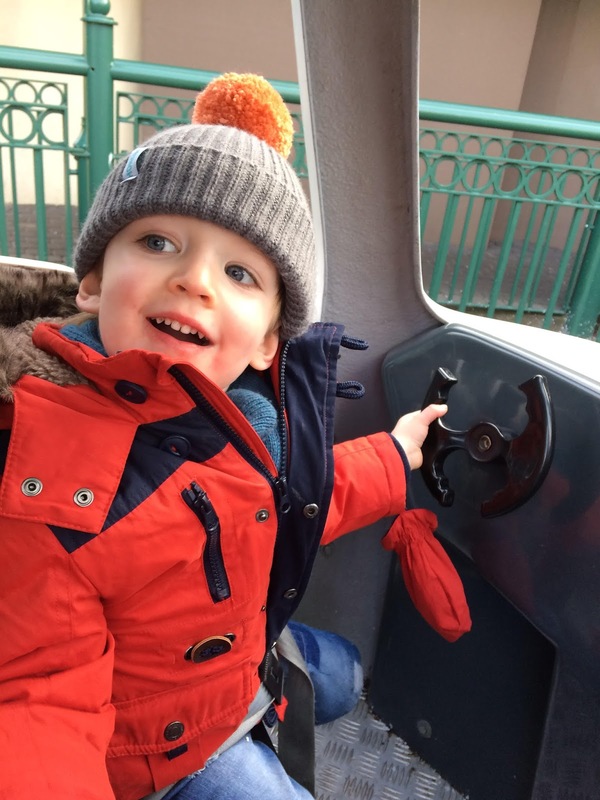 Ethan was full of energy and loved every part of the day but his highlight, inevitably, was catching a ride on board Thomas himself, to take us back to the heart of Thomas Land. 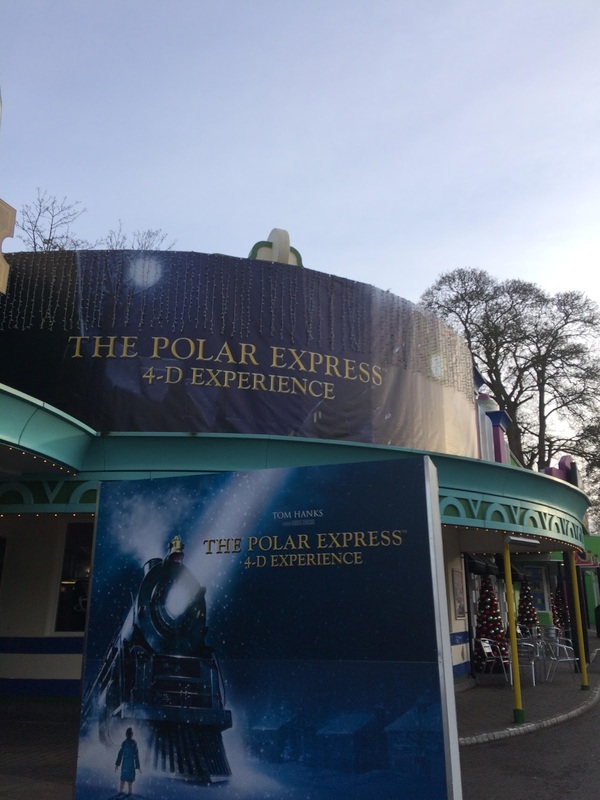 He had an appointment with the man in red in the Castle of Dreams, so we headed off to Santa's grotto before visiting the 4D Polar Express experience. 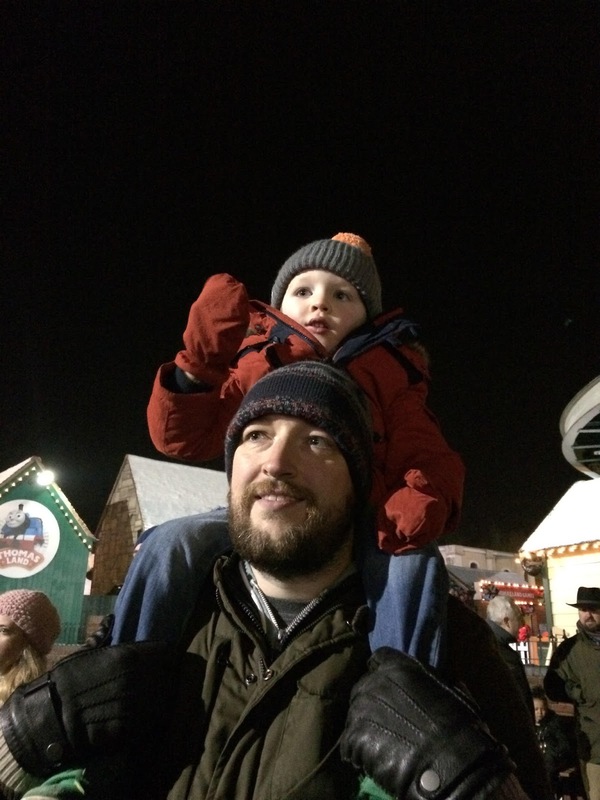 As if that weren't enough, we then squeezed in three more rides - one ride we went on twice in a row as there was no queue - before spotting and following the Christmas parade performance, which rounded off with some beautiful fireworks over the lake. 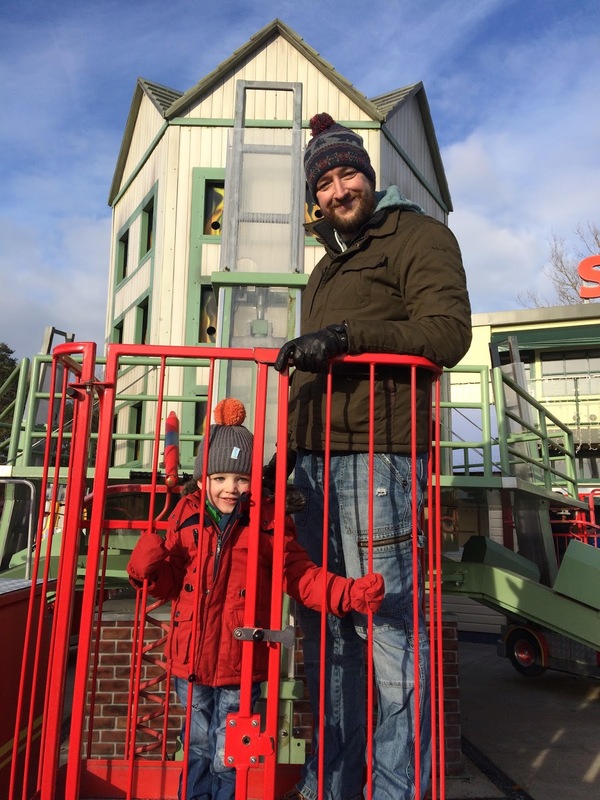 A pretty packed day, I am sure you'll agree, which is what makes it such great value as a family day out and it certainly left us feeling magical and ready for Christmas. 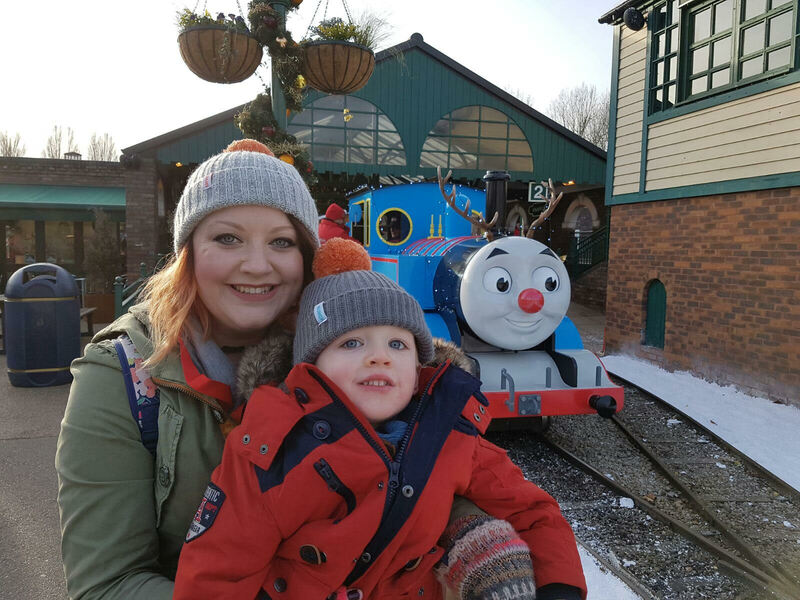 So, what festive treats can you enjoy at Thomas Land this Christmas? 3. 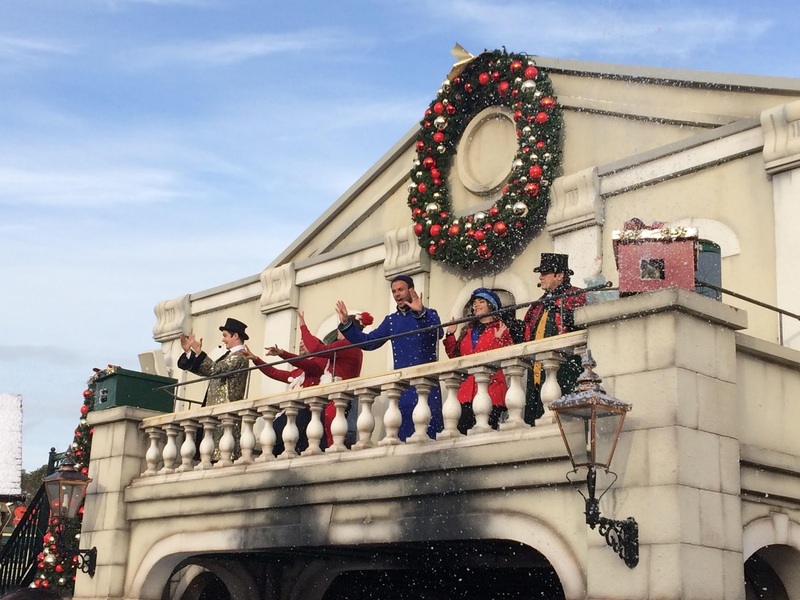 See Santa and his reindeer - of course, a must-see if you visit at this time of year is Father Christmas himself, located in the Castle of Dreams. 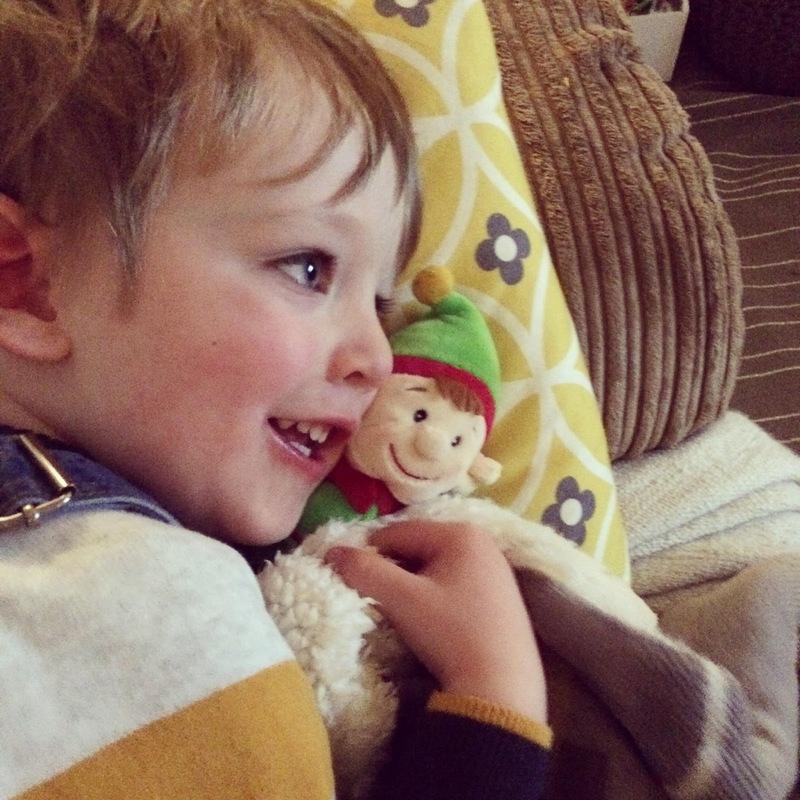 He has plenty of time for each girl and boy, photos are available to buy at the end and every child receives a cuddly elf (ours is called Elfvis), a large chocolate coin and a free child return ticket with a paying adult to be used in early 2016 - bonus! If you buy your photo, you also receive a digital download link, so we could immediately change our Facebook cover photos... 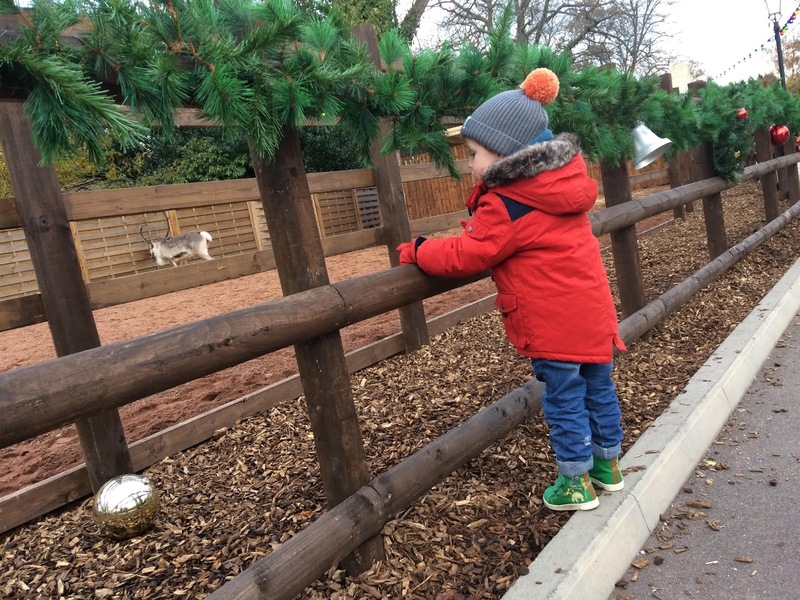 When you leave the castle, you can stop to see the reindeer too - which Ethan loved, as a huge fan of Sven from Disney's Frozen! 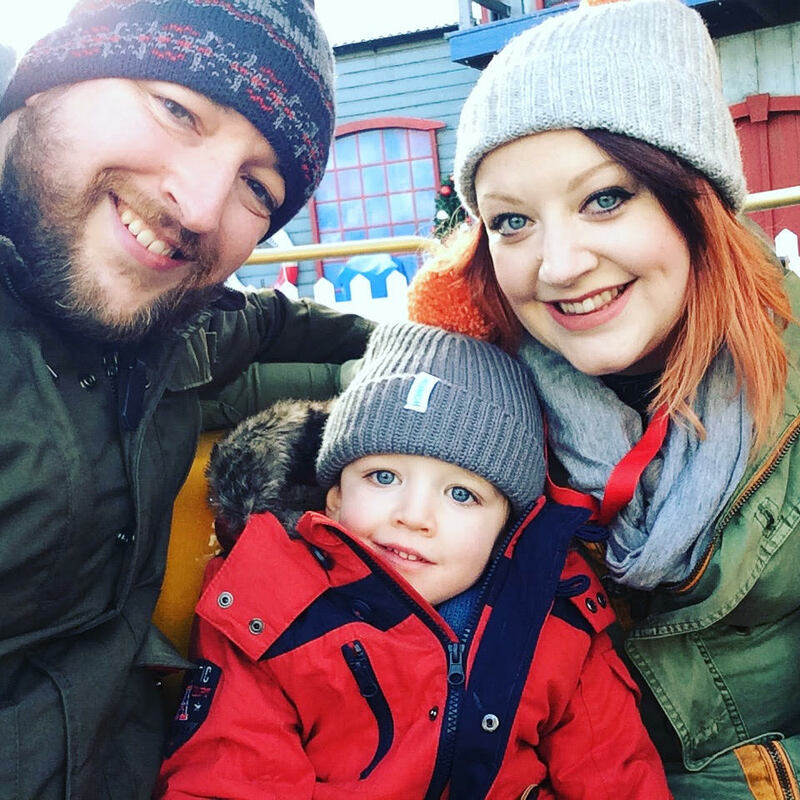 Whilst we were kindly invited along to experience Drayton's Magical Christmas for the purposes of review, we absolutely loved our day out and would recommend it to anyone with young children as there is so much to do and it really did feel like a special place to start the festive season. What tips can I offer you if you visit at this time of year? 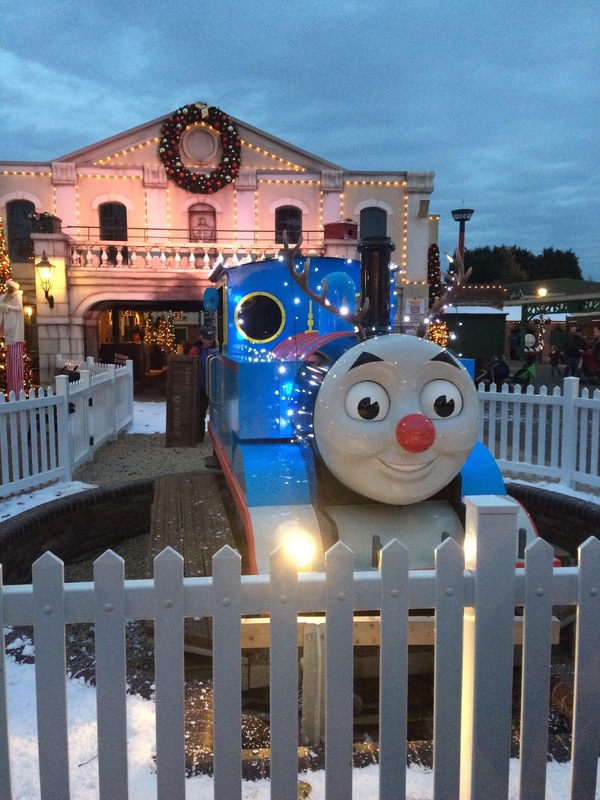 Have you been to Drayton Manor Thomas Land at Christmas time at all? What are your must-do things when you visit? 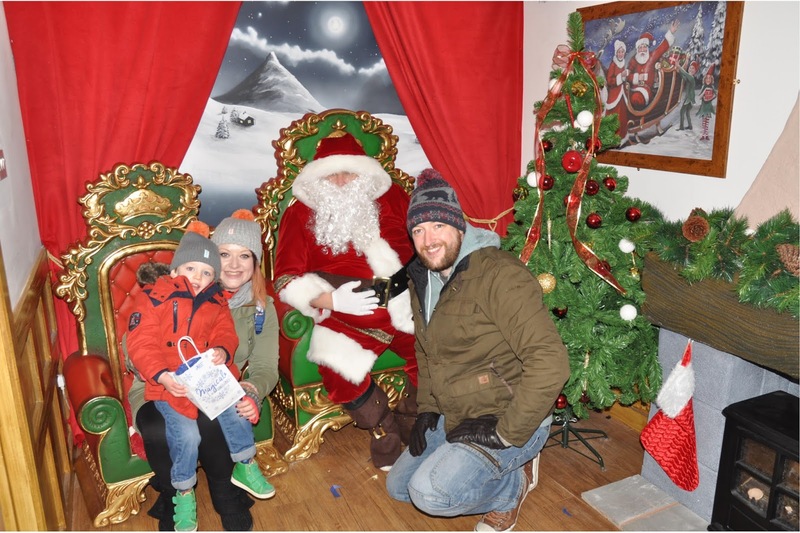 Find out more about Drayton's Magical Christmas in my bumper guide to seeing Santa across the Midlands - packed full of all the details and links you need to find a great grotto near you. 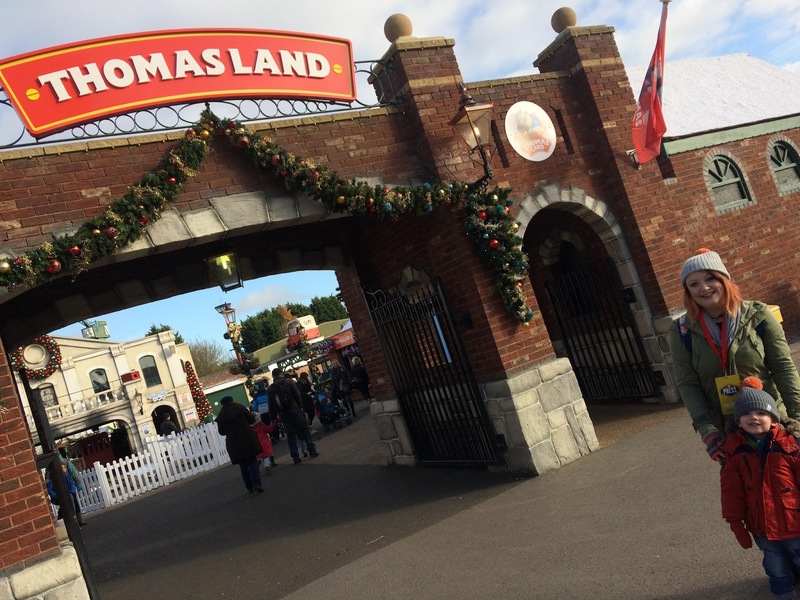 * Thank you to the Thomas Land team for a kind invitation and a memorable day - all opinions and looks of glee our own.